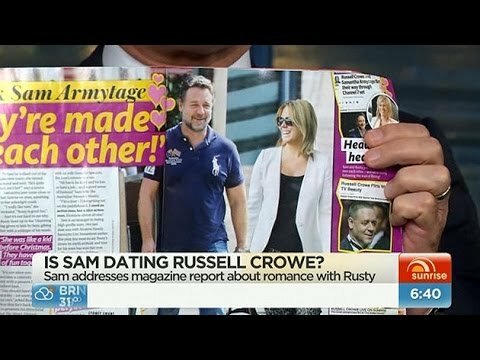 Sam Armytage Mamamia interview: Finally happened. Sam Armytage tells Mamamia: "I don't need you to speak for me." Samantha Armytage is like any woman, really. She’s dated some bad guys, wrestled with the idea of being single, managed a love-hate relationship with her body, and worked really hard for what she’s got. Oh, except that she gets up at 3.40 every morning, spends 3 hours on live telly, and sometimes finds herself in a relationship with Russell Crowe or Eric Stonestreet without knowing it. Remember that time Sam wore silver high heels on air, her co-host David Koch brought a stripper pole out on set for her, and our editor-in-chief Jamila Rizvi defended her against that sexist gesture? It didn’t go down well with Sam, who was – well, not happy with someone stepping in to speak for her. Koch spent 7 minutes on air ranting about the issue, and the media called it #StripperGate. “When you’re at the centre of something like that and everyone is talking about you, it’s like you’re in a washing machine and you just put your head in your hands and ask people not to speak for you,” she said, kindly but firmly. Listen to what Sam had to say in our exclusive, one-on-one interview here. She talks about why everyone’s obsessed with her dating history, how she can sneak to the supermarket without being recognised, that time she was shamed for not being a size 10, what a “crappy” industry television can be, how she got to where she is, and how she had any time at all to write a book.